300.000 users can't be wrong! 230.000 downloads in the first month only. ✔ Use your voice to send messages and emails. No more tedious typing. Just speak and it's done. ✔ Share your ideas on Twitter and Facebook in the easiest and most natural way : using your voice. ✔ Voice recognition support for 34 languages and accents. 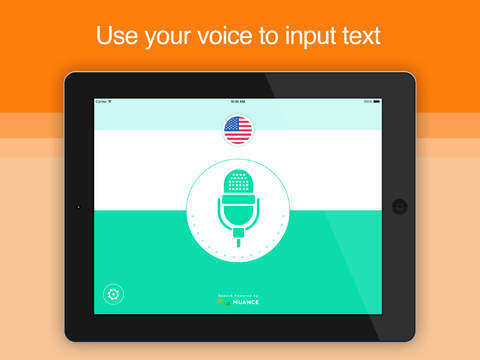 ✔ Translate your text into 57 foreign languages. 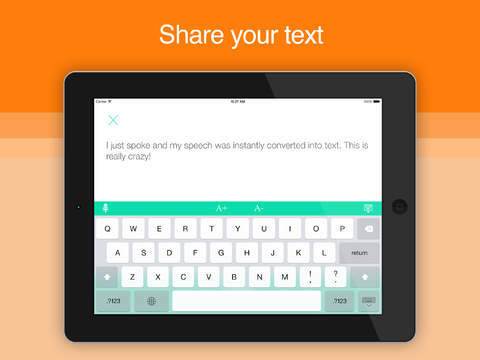 ✔ Print your text directly from the app. ✔ Copy your text with one tap. ✔ Correct your text using voice dictation or typing. ✔ Full support for American and British English. ✔ More than 184.000 downloads in the first ten days only. ✔ In the top 20 social networking apps in 61 countries. Copyright © 2013 Tensift Software.